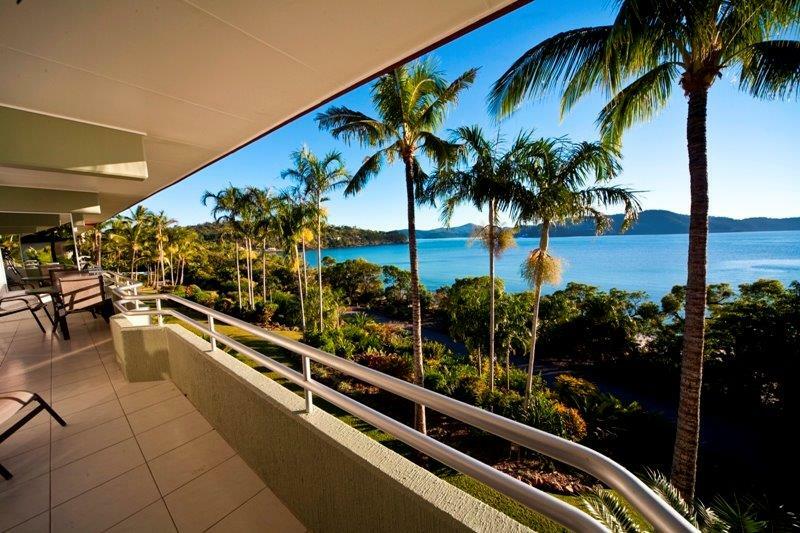 Shoreline 2 is a gorgeous split level, 2 bedroom, 2 bathroom, modern apartment that's fully air-conditioned and self contained. 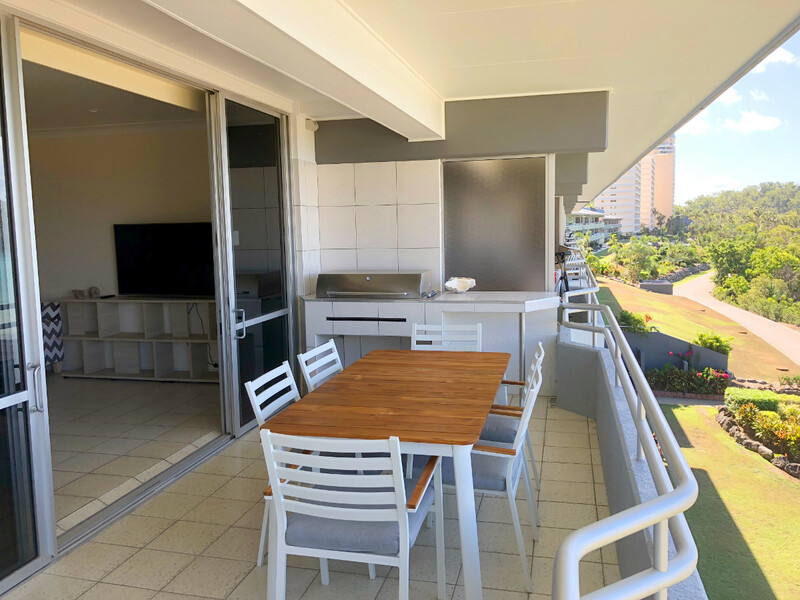 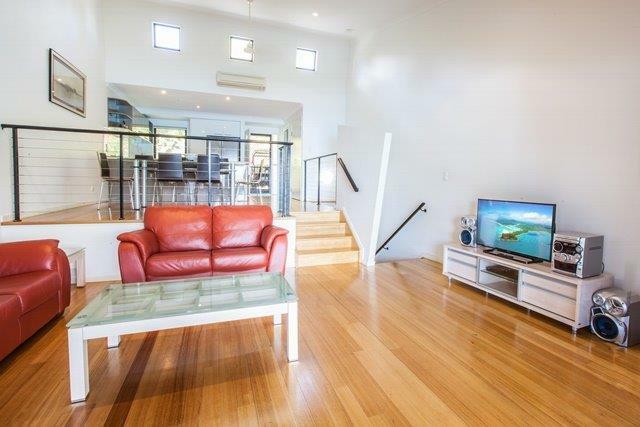 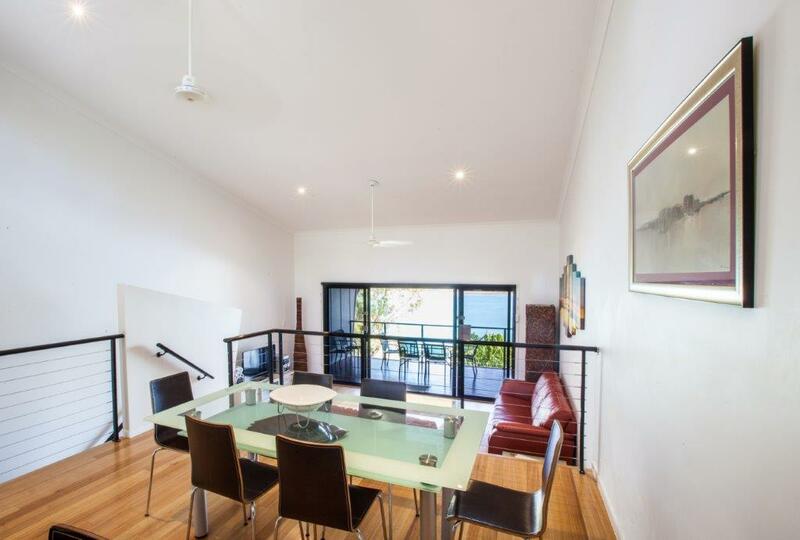 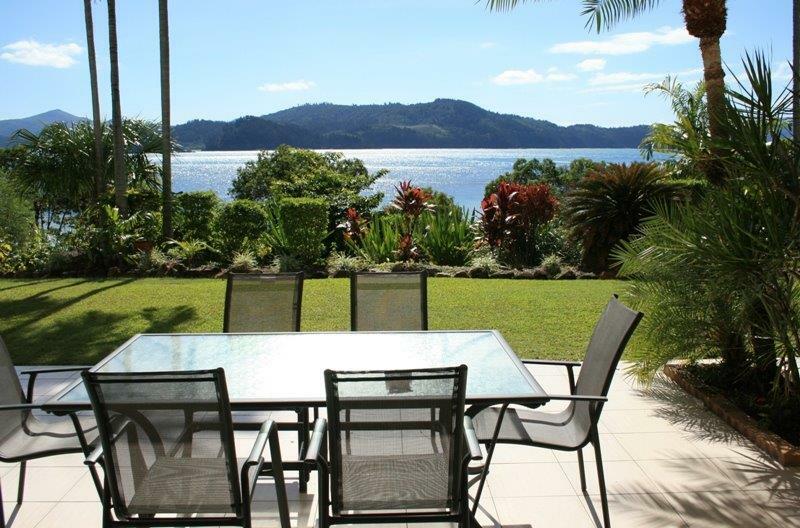 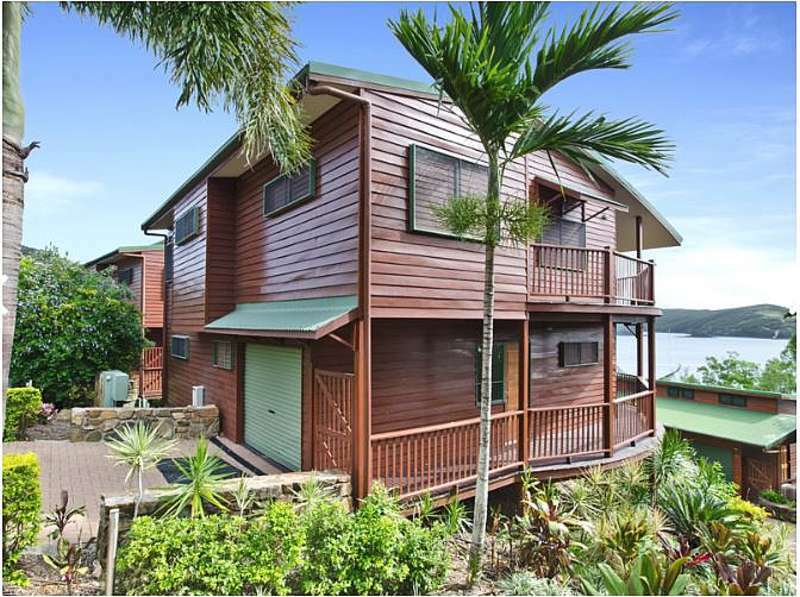 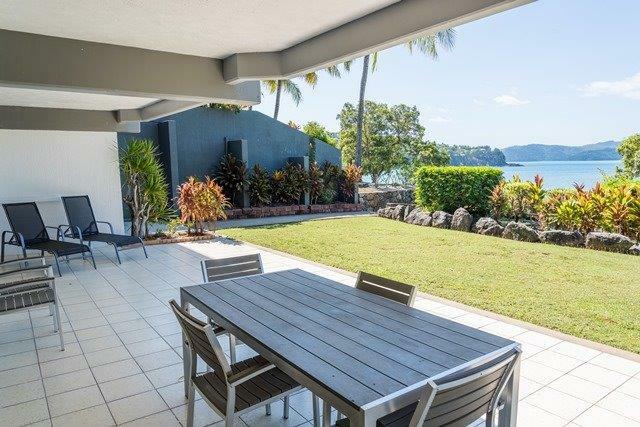 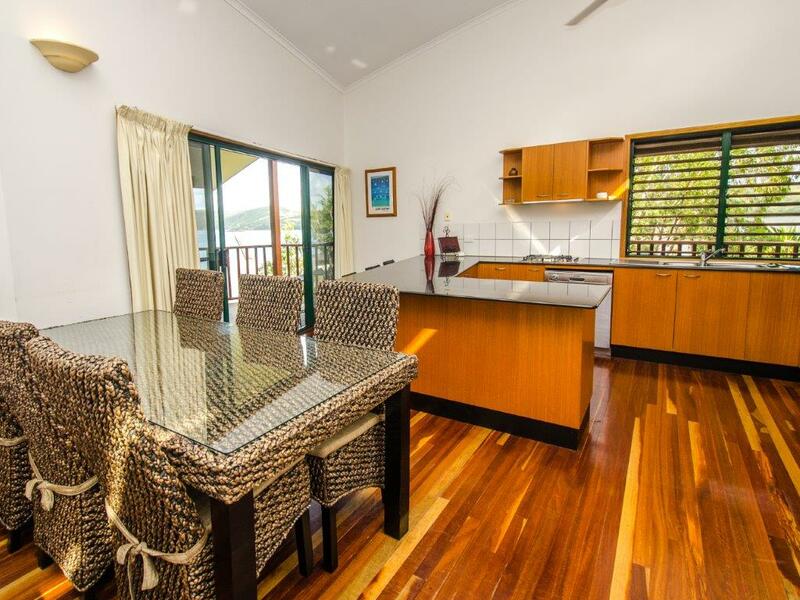 Balconies off the living area upstairs and master bedroom downstairs provide views of tropical waters across to mainland Australia. 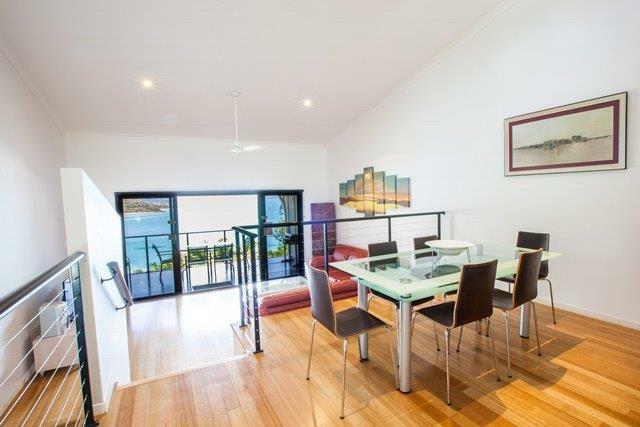 Polished floorboards throughout and up-market fixtures Shoreline is a home away from home. 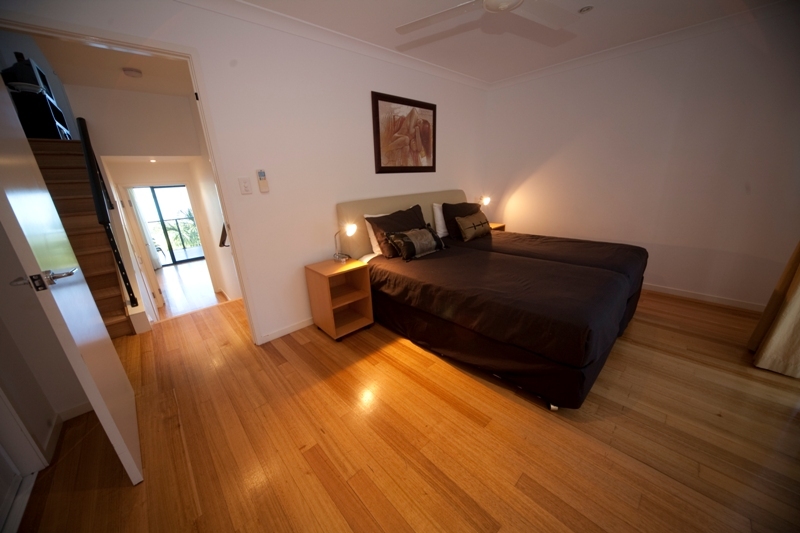 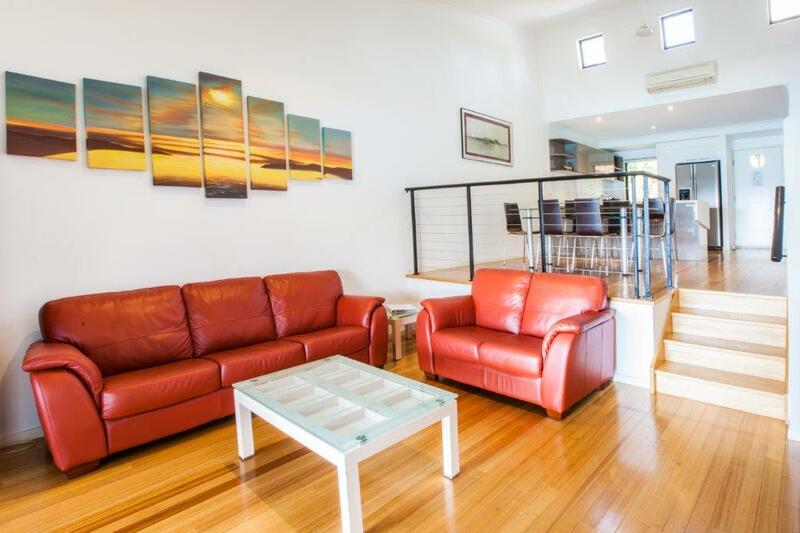 The apartment sleeps 6 people with 4 people in beds while the rollaway beds are available for the extra 2 people. 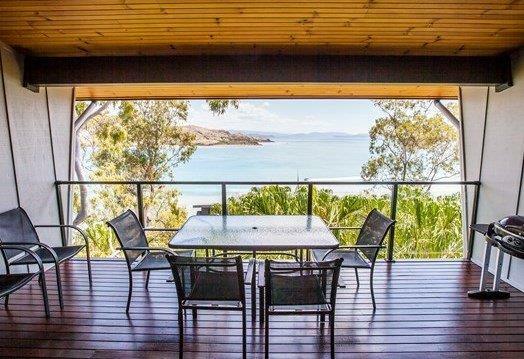 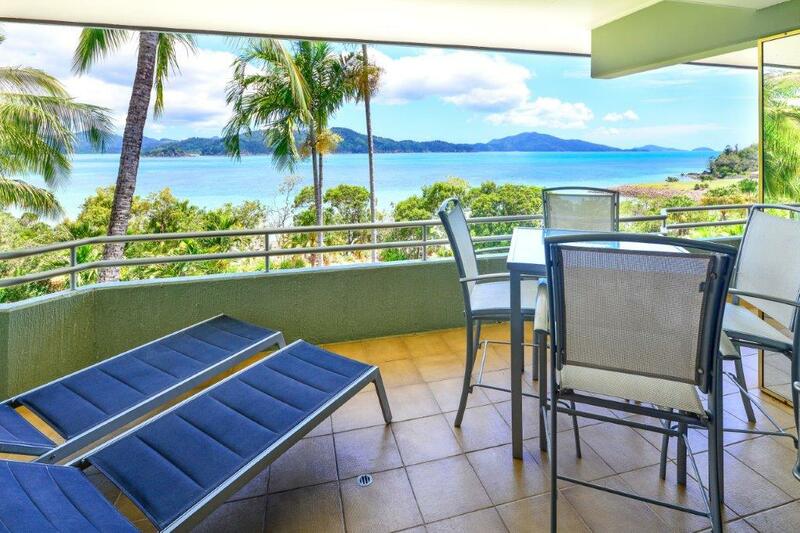 The luxurious master bedroom boasts an ensuite with spa bath, that you can indulge yourselves in while looking out to the waters of the Whitsundays. 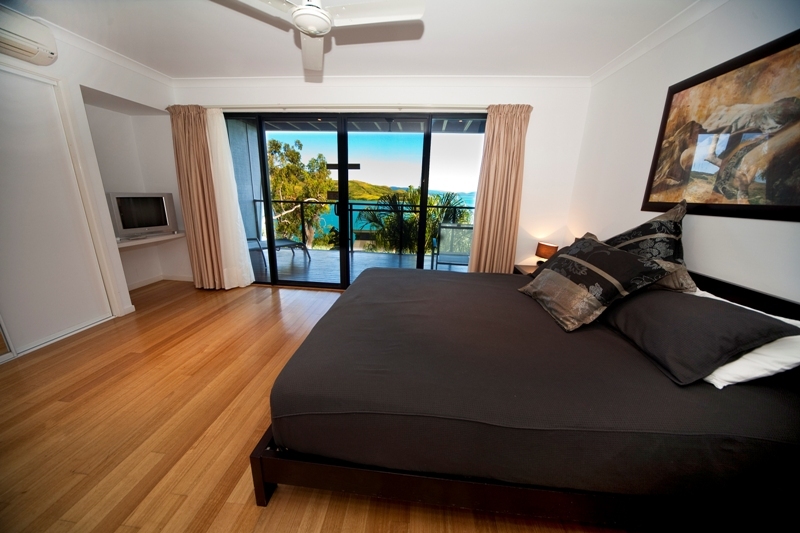 The 2nd bedroom has 2 single beds that can be put together to make a king and a 3rd small private balcony for the fresh sea breeze to come through. 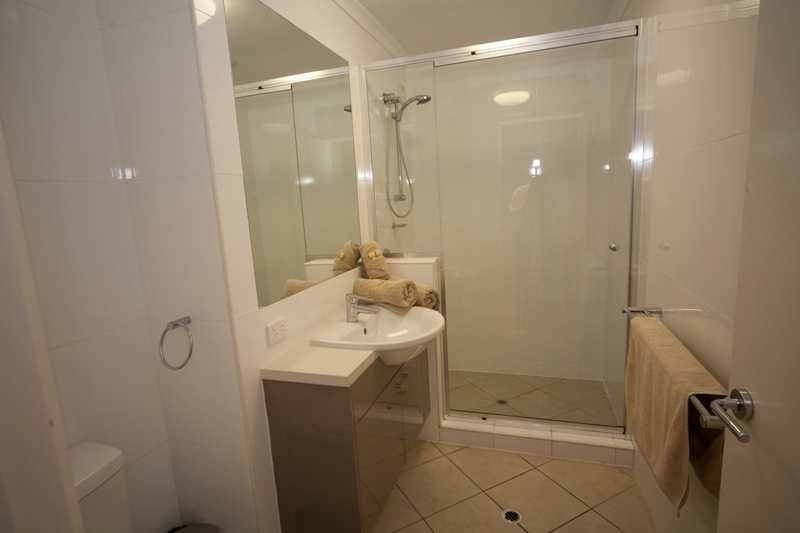 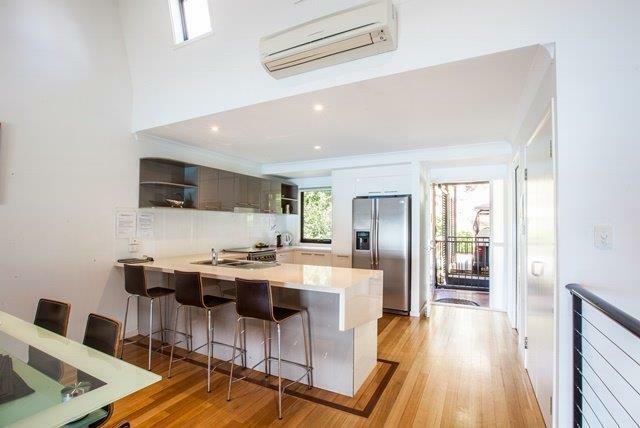 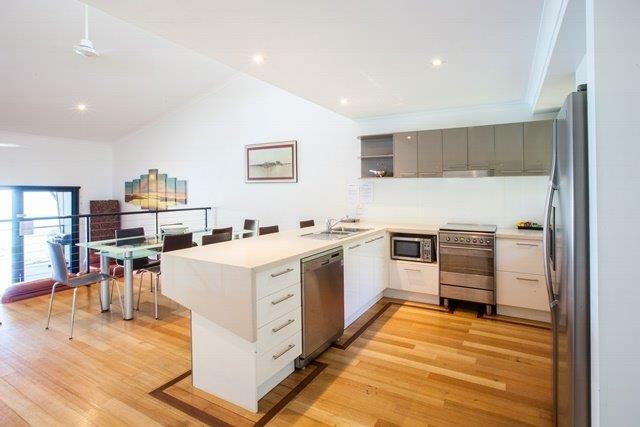 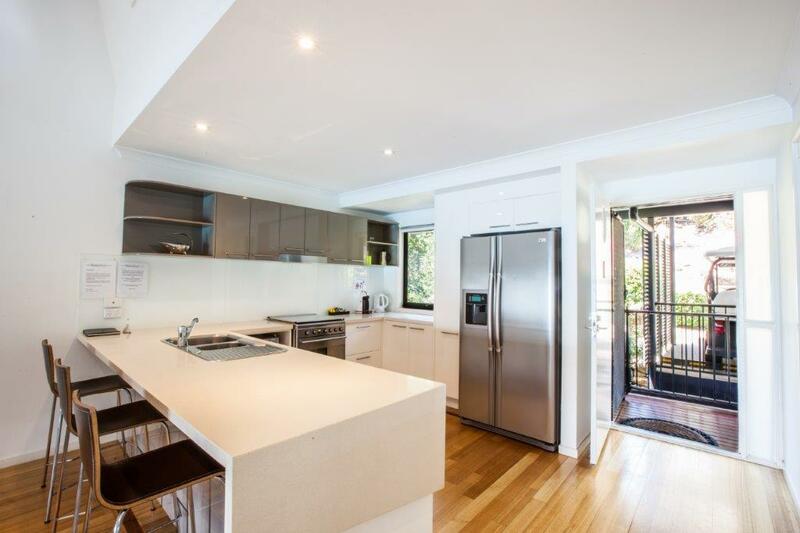 A washing machine and dryer for your convenience, all linen and towels are supplied. 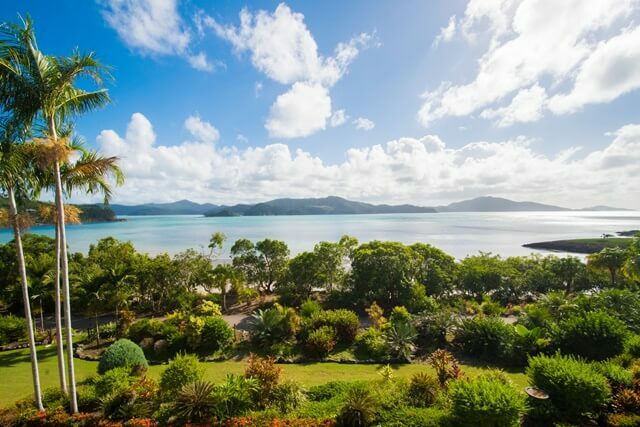 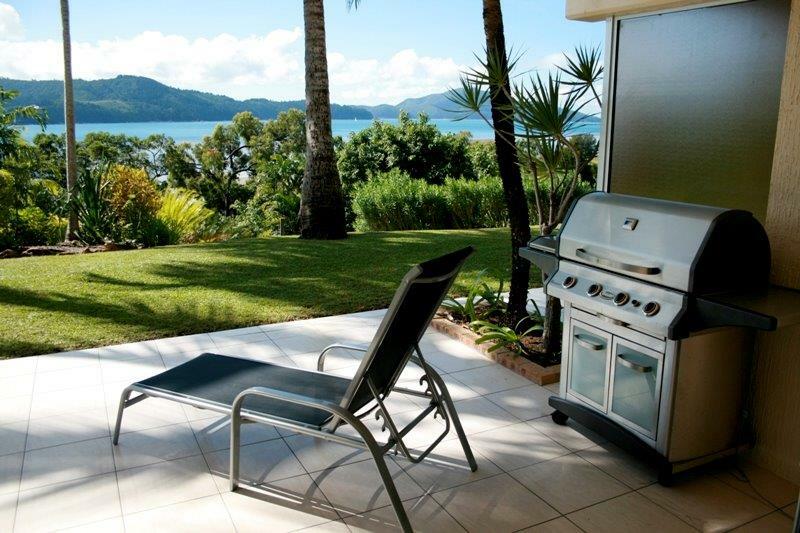 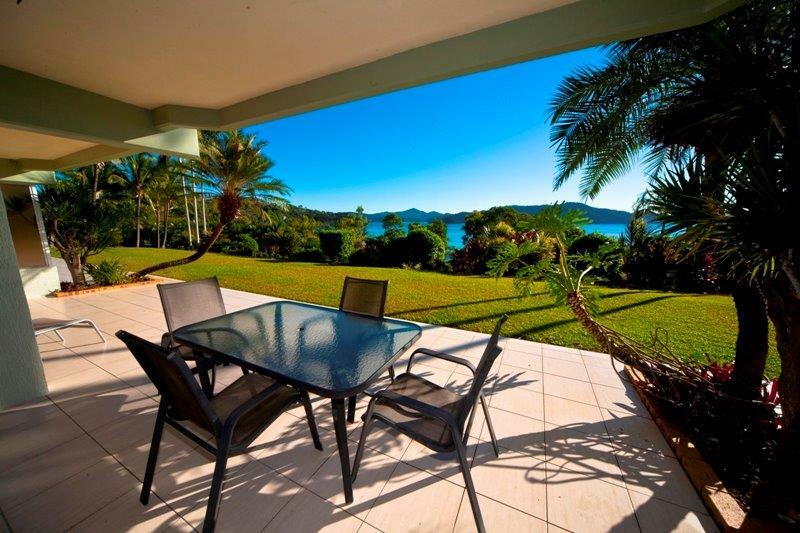 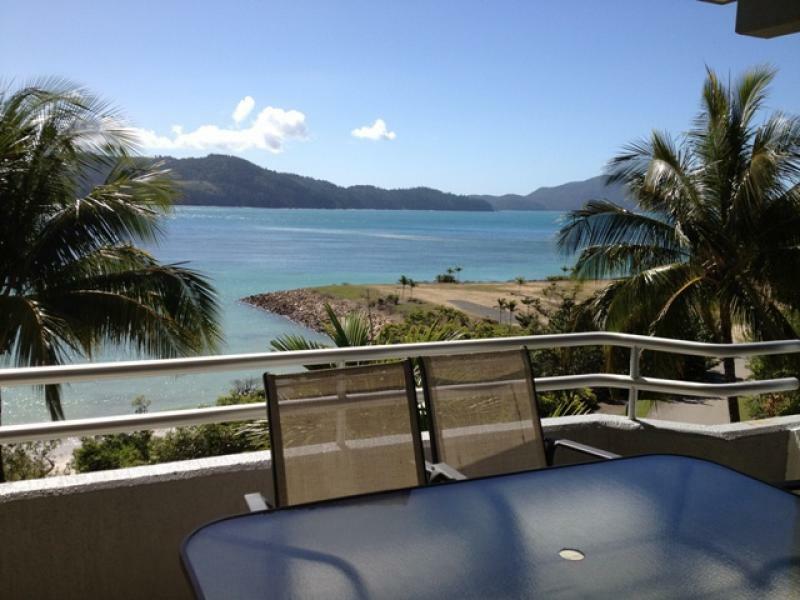 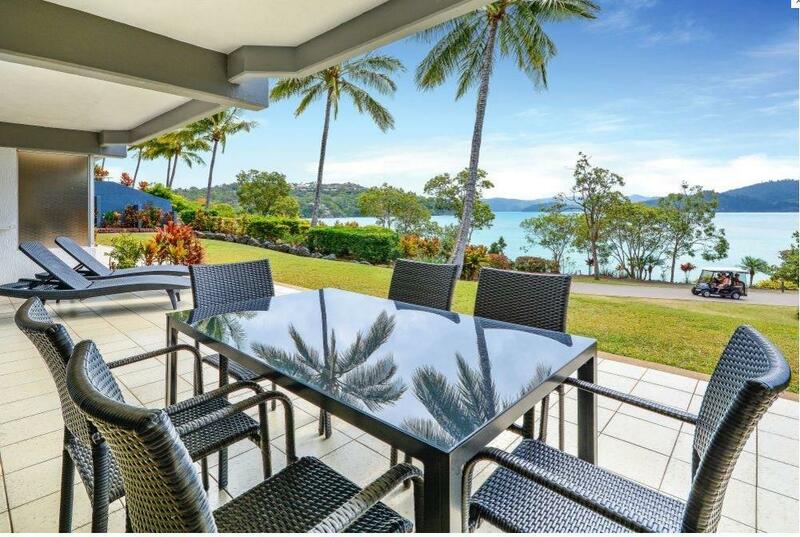 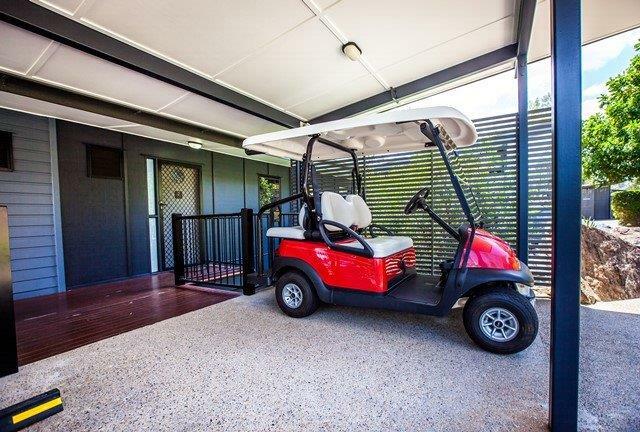 Your own complimentary golf buggy is provided at no extra charge when staying at Shorelines 2, putting you within easy reach of Hamilton Island's main street and tourist attractions. 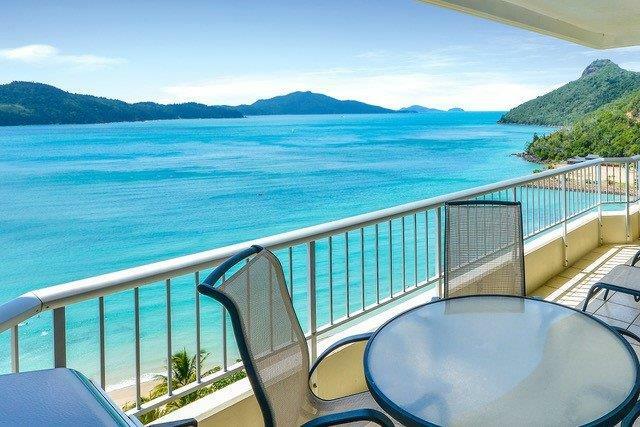 If you need to cool off this Shorelines apartment has access to the stunning Infinity Edge Pool and complex pool.